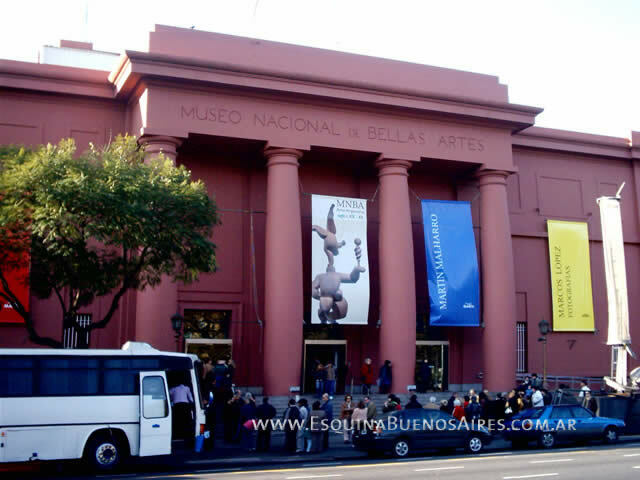 BUENOS AIRES, ARGENTINA- Employees of the Museo Nacional de Bellas Artes , or MNBA, are worried that some jobloss may soon occur due to funding issues within the museum. MNBA offers digital audio guides for the exhibits in both English and Spanish. Since 1870 the museum has had several locations. It’s original location wasd in Bon Marche on Florida street. Over time the museum’s collection grew and they can now boast works from well known artists such as Pablo Picasso, Claude Monet and Rembrandt. Redevolopment began in August of 2005 and has yet to be completed. The construction had a predetermined completion date promised for March 2010. However, in November of 2009 the funding was reduced by museum director, Gustavo Lopez. Since construction began, much of the museums works have been stored in its library and archives annex. Some of the offices have also been moved with the artwork, but other employees do not have access to their work areas. 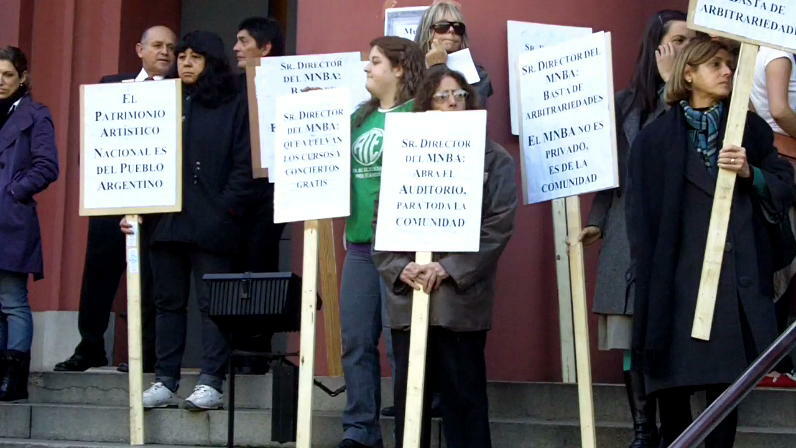 In protest of the construction hold, employees and locals protest in front of the building every other Tuesday when the museum opens at 12:30 p.m. until 1:30 p.m. The protestors have picket signs and drummers that help them gain the attention of passersby. They then give informational handouts to them. These handouts serve two purposes, they spread the word of the current issues the museum is facing and they gain the aide of others who read about the problems and want to help. Regardless of claims made by Hernan Lombardi, Minister of Culture, even if the museum manages to find the funding to complete it’s construction, there will still be no money to have an opening ceremony. Garcia said as of yet, it is unclear whether or not construction will be completed soon or is to remain postponed indeffinitely.